Giving the gift of a luxury sartorial experience could not be easier. Choose the value of the gift card from the menu below, write an optional personal message, and we will deliver the card to your recipient (or to you, ready to gift) in presentation packaging. 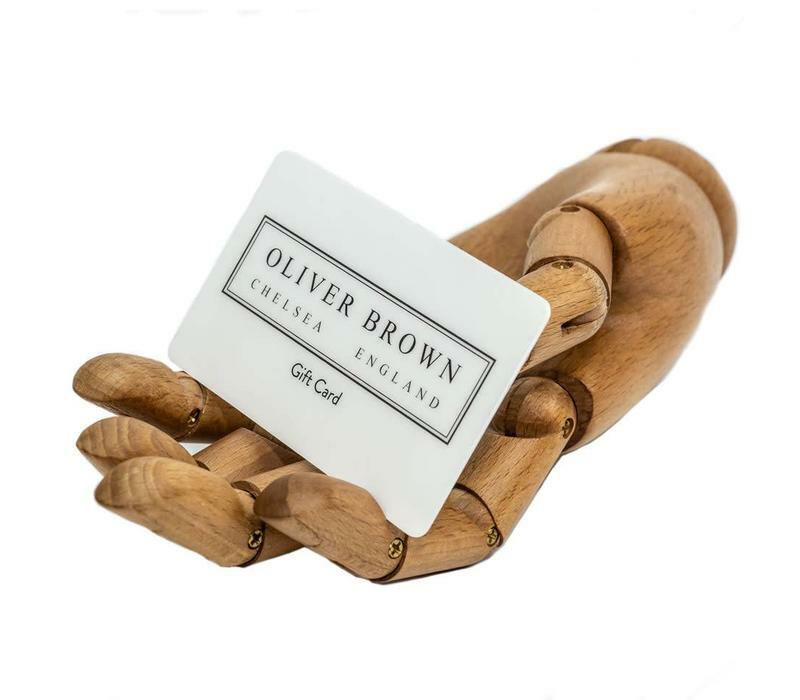 Our gift cards are redeemable against any of our products and services, from a pair of luxurious cashmere socks to a fully-bespoke suit. 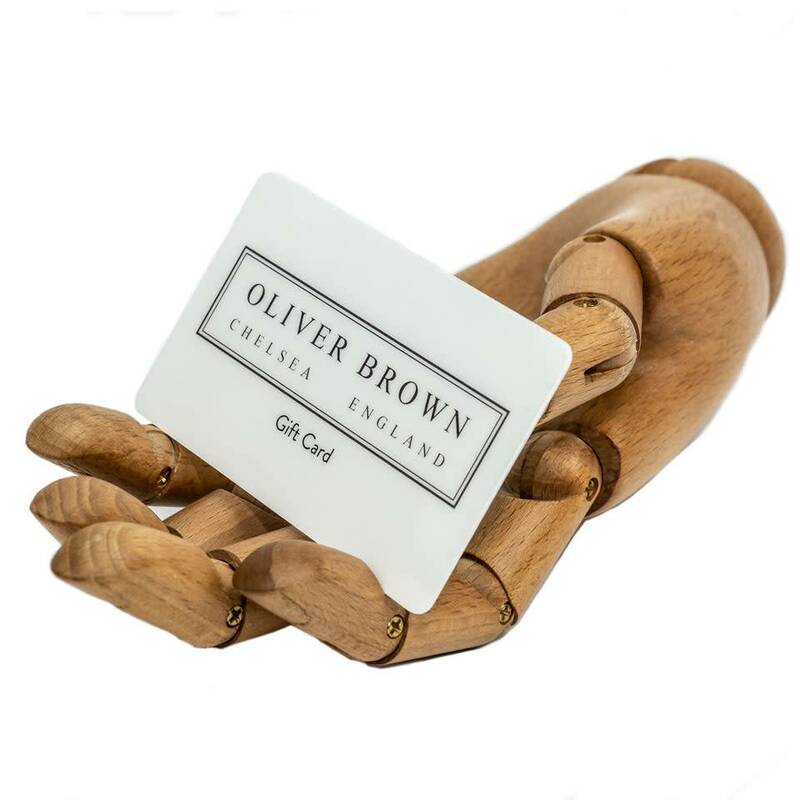 Truly 'one-size-fits-all' as our gift cards can be redeemed for any Oliver Brown product.